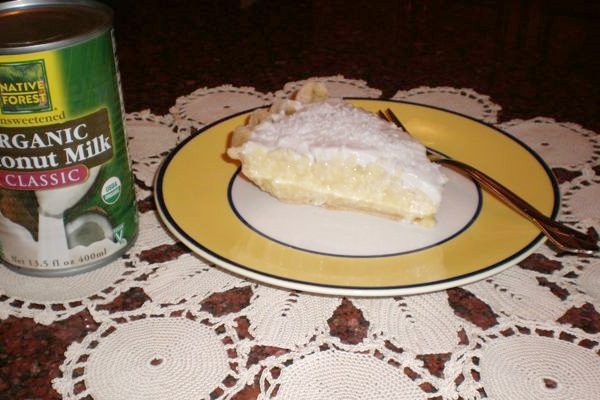 This Coconut Cream Pie with Whipped Coconut Milk Topping is an official entry in the So Delicious Dairy Free Recipe Contest! In a medium saucepan, stir together the sugar, salt, and cornstarch. Slowly stir in milk alternative, making certain that all the dry mixture is mixed into the milk. Stirring constantly over medium-high heat, bring mixture to a slow boil and boil for 5 minutes. Add dairy-free margarine, stirring to melt. Remove from heat and stir in vanilla and shredded coconut. Allow to cool completely. When cooled, place in prepared pie shell. Put in refrigerator. Open the can of chilled coconut milk, draining the "water." Place the thick coconut milk / cream in a medium mixing bowl. Add the vanilla and sugar, and blend with an electric hand mixer until the ingredients are smooth and creamy. This may take 5 to 8 minutes. Remove pie from refrigerator. Carefully smooth the whipped coconut cream over the pudding. If using, sprinkle extra shredded coconut on top. Place back in refrigerator for a few hours (if you can wait that long) to set. Thank you! I searched and searched for a recipe like this. It’s a good one! I only had coconut cream and that worked great. Next time I’d like to try coconut suger instead of white. And I also had a store bought chocolate graham cracker crust. All yum! Thanks again. Marvelous! So glad you liked it Laura. Do you have to use unsweetened coconut milk for the filling? Omg I did not mean to hit the one star! That’s okay, it happens! You can delete if you want. But no, for the unsweetened coconut milk beverage you can use any milk beverage. For the coconut milk though, you will want to stick with coconut milk. I hope that helps! My son has several food allergies and I gave this pie a try yesterday for a birthday dessert for my husband. It was so good! Regardless of food allergies, I thought using the coconut milk in the pie and for the topping made the flavor extra good! This was a dessert we all enjoyed-tasty for my food allergic guy and still delicious for those without food allergies. Will be making this one often! =) Thank you! I made this and it is fabulous. Awesome. 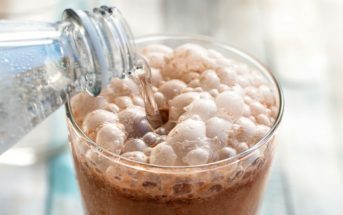 It’s as good as the one that has eggs and whipped cream, but much better for you. I know because I made the one with whipped cream, and eggs. I ate the whole pie, then my mother in law said, your cholesterol. Meanwhile, I’m so use to baking vegan and never thought in my life that I would be able to have something to compare. Well was I shocked! I used coconut milk from the can, and the water from the chilled can. It worked. Then I folded and beat the whipped topping into the chilled mix and added coconut, plus more for the top. I adapted this part from the real jerk cookbook. Again, can’t say enough about this dessert, especially when we’re talking coconut cream pie! That’s great! Thank you so much for sharing your feedback Becky, and for your own notes! I made this today. The recipe was easy to follow and it came out great! For the crust, I baked 2 sheets of cookies and left them in the oven until they were crisp. After they cooled, I broke them up and put them in the Nutribullet and processed to fine crumbs. Added some coconut oil to the mixture and made my pie crust. Once the pie filling cooled I poured it into the crust and put it in the fridge. It came out so good and yummy. Thank you! Fabulous! 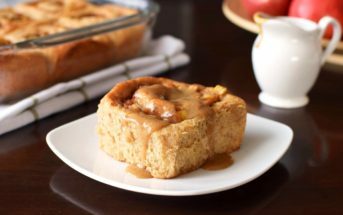 Thank you so much for sharing your experience with this recipe Emma. I’m glad it worked out so well or you. This is a fantastic dessert! So easy to make Thank you so much! I recently found out one of my mother-in-law’s favorite desserts is coconut cream pie, but she hasn’t been able to eat it because she’s lactose intolerant. 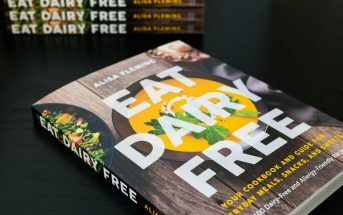 I looked up dairy free recipes and tried two of them for dessert at Easter. The other obviously tasted like a substitute. This one was fabulous. I’m making it again tonight for myself. I used the combination of coconut milk beverage and coffee creamer for a richer filling, and doubled the “whipped cream” recipe. It was a huge hit, and people were asking me for the recipe. That is wonderful Chris! Thank you for sharing your successful adaptations, too! Outstanding! I made this for a friend who is lactose intollerant. We were all amazed how well it tasted! 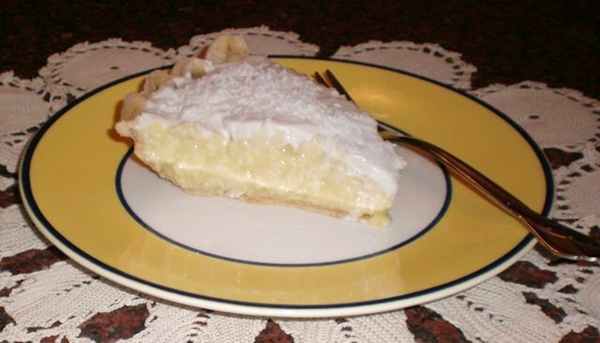 I love coconut cream pie and eat it often, I couldn’t tell the diference. I really enjoyed the whipped topping. Much better than whipped cream or merangue. A definite 10+! !